We’d love your help. Let us know what’s wrong with this preview of Two Minus One by Kathryn Taylor. To ask other readers questions about Two Minus One, please sign up. Reviewed on: 5171 Miles Book Blog. Thank you to BookSparks for allowing me to be a part of the Magic of Memoir Blog Tour this fall! Be sure to check out the BookSparks site to view the rest of the line-up! Never in a million years would I have guessed I’d an enjoy a memoir centered around divorce, but from the moment I picked up this book, I was completely absorbed in the author’s story. The writing in this book feels as if you have sat down for a deep conversation over lunch with a close friend. Reviewed on: 5171 Miles Book Blog. Never in a million years would I have guessed I’d an enjoy a memoir centered around divorce, but from the moment I picked up this book, I was completely absorbed in the author’s story. The writing in this book feels as if you have sat down for a deep conversation over lunch with a close friend. Two Minus One is deeply personal and told with unflinching honesty. There is absolutely no sugar-coating in this book, the author shares her personal triumphs and lowest lows with readers to help those possibly in similar situations, to gain perspective. I think every married person thinks about what divorce would entail, simply because it is so prevalent in the world. It’s terrible to imagine, and in many cases, it seems worse than facing the death of a loved one. In itself, it is a death of sharing a life with the one supposed to your other half. When the relationship crumbles, the loss must be one of the worst things a person can live through. Knowing my own thoughts on the subject as a married woman for the past decade of my life and witnessing the life changes martial separation forced personal friends into, I still had no proper understanding of the devastation divorce causes. Based upon my general lack of interest in the subject of divorce and the large age difference between myself and the author, I was surprised to find each time I picked up the book, I was completely engrossed in the story. In a small way, Kathryn’s journey read like Fiction because I was anxiously awaiting what would happen next. I felt almost as baffled and blindsided by her husband’s request to separate as she did, I was shocked by his accusations, and was eager to find out his reasoning. While reading Two Minus One only one word comes to mind - MEN CAN BE JERKS! And I say that with an attitude!!! This was a fast read and I read it in just a couple of hours. This book is about a woman who’s husband decides out of the blue he doesn’t want to be married anymore and it’s her raw words of how she dealt with it all and started over. Thanks to NetGalley and the publisher for providing this book for my honest opinion. It would seem that this book was written at the direction of a therapist to review her life and marriage through rose colored glasses and then to attempt to justify her reaction to her husband’s wanting a divorce. 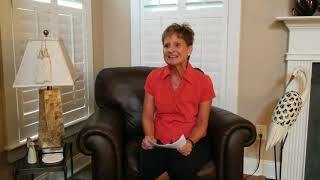 I understand that that can be very helpful to those undergoing therapy for various problems. I can not understand wanting to air one’s dirty linen in public. And of course, she didn’t think she did. She was careful to present herself as the perfect woman, the perfect wife, the perfect It would seem that this book was written at the direction of a therapist to review her life and marriage through rose colored glasses and then to attempt to justify her reaction to her husband’s wanting a divorce. 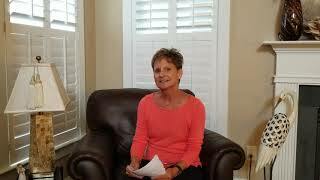 I understand that that can be very helpful to those undergoing therapy for various problems. I can not understand wanting to air one’s dirty linen in public. And of course, she didn’t think she did. She was careful to present herself as the perfect woman, the perfect wife, the perfect friend. One does not have to be trained in psychology to see through her presentation of herself – it was all too obvious to me, and doubtless to others. There was nothing, at all, enjoyable or redeemable about this book. Helpful to others going through the same thing? Really? I would suggest that anyone experiencing any of life’s traumas should be a bit more realistic and be willing to take responsibility for one’s own failings. Divorce is never easy and divorce later in life (grey divorce) is even worse. This is the true account of Kathryn Taylor. How she fell in love and never saw the ending of her marriage coming. Blindsided by an opportunist that was suppose to love her. This book is very helpful for someone going through a divorce. It lets you know someone else has been through it and what they did to manage. That it is okay to go to therapy and seek council in your best interest. You can learn a great deal from th Divorce is never easy and divorce later in life (grey divorce) is even worse. This is the true account of Kathryn Taylor. How she fell in love and never saw the ending of her marriage coming. Blindsided by an opportunist that was suppose to love her. This book is very helpful for someone going through a divorce. It lets you know someone else has been through it and what they did to manage. That it is okay to go to therapy and seek council in your best interest. You can learn a great deal from this book. An emotional journey. What a surprising book this was. I was thoroughly engrossed in Kathryn's story and how she was just so honest and frank. Kathryn and her husband started their relationship as neighbours, then friends and then lovers and marriage. After blending their families together and moving for husbands job, Kathryn thought things were going well. She had no knowledge how things would turn. On a weekend away to visit Husband's dying brother, in the car he say's " I'm done with the marriage and don’t want to What a surprising book this was. I was thoroughly engrossed in Kathryn's story and how she was just so honest and frank. On a weekend away to visit Husband's dying brother, in the car he say's " I'm done with the marriage and don’t want to talk about it,”. What a shock she had. Kathryn relied on her closet friend in her time of grief and after many tries found a therapist. Time heals all wonds - not so. But with the devastation of her husband leaving in such a shocking way, it took her time to sort through her feelings and move on. She has put her life out in ways that many wouldn't and it actually gave me hope that if this were to happen to myself or anyone I know, then I could draw from Kathryn's book and her strength that she possessed to get her through this period in her life. I know countless people can relate to this book and find hope in their own situations. Kathryn Taylor has shared her heartache with us and allowed us to walk through the healing process with her. Healing doesn't come quick and easy but almost always takes time and perseverance. This book is a reminder to all of us that life can go on, and we can grow and enjoy life more than ever! Two Minus One is a memoir by Kathryn Taylor, released today! Thank you to @booksparks for sending me a copy as part of the Magic of Memoir tour. Kathryn tells the tale of what her life was like when her husband decides one day that he does not want to be married any more. She had recently moved away from family and retired from her 30 year profession in order to support his career, so she finds herself alone and too old to start again. Two Minus One follows her divorce and attempts to rebuild her Two Minus One is a memoir by Kathryn Taylor, released today! Thank you to @booksparks for sending me a copy as part of the Magic of Memoir tour. Kathryn tells the tale of what her life was like when her husband decides one day that he does not want to be married any more. She had recently moved away from family and retired from her 30 year profession in order to support his career, so she finds herself alone and too old to start again. Two Minus One follows her divorce and attempts to rebuild her life. Two Minus One is an intimate account of the shocking and unexpected disintegration of a marriage. This memoir is the personal account of one woman’s emotional journey as she tries to pick up the pieces of her life and move forward through grief and loneliness. The author did a wonderful job of sharing this sad time in her life with honesty and integrity. This would be a great book for anyone who is going through a divorce or any painful time. Interesting book about being blindsided in your marriage, and the subsequent divorce. What a mess author had to deal with. Dealing with divorce is never a picnic, having gone through it myself. Very informative. I read an ARC copy of this a while ago and realize I never posted my review! I haven't read much non-fiction lately but this is one that hit home with me, and will likely do the same with most women who have gone through a divorce, especially later in life. The author gives us a glimpse into her very painful (and unexpected) separation from her second husband who had given no indication ahead of time that he wanted a divorce. Blindsided, the author takes us deep into her journey of emotions - ever I read an ARC copy of this a while ago and realize I never posted my review! 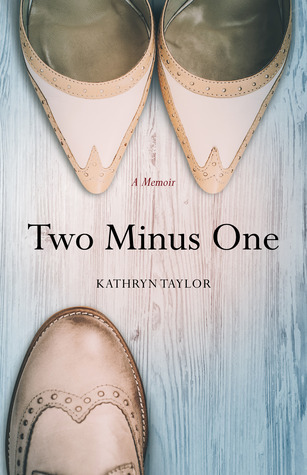 TWO MINUS ONE: A MEMOIR by Kathryn Taylor is a heartbreakingly honest recounting of a heartless dumping by a gutless husband and the slow road back to recovery. The author is unsparing in her emotions, which makes this such a supportive book for anyone going through an unexpected, unwanted divorce. TWO MINUS ONE is another engaging example of the fine works written in the female voice published by She Writes Press. Highly recommended! Thanks to She Writes Press and NetGalley TWO MINUS ONE: A MEMOIR by Kathryn Taylor is a heartbreakingly honest recounting of a heartless dumping by a gutless husband and the slow road back to recovery. The author is unsparing in her emotions, which makes this such a supportive book for anyone going through an unexpected, unwanted divorce. TWO MINUS ONE is another engaging example of the fine works written in the female voice published by She Writes Press. Highly recommended! Thanks to She Writes Press and NetGalley for the review copy. Opinions are fully mine. I am not a big book reader. This was a complimentary ARC copy and I know the author personally, so was very interested to read this memoir. I would have never guessed by knowing the author that she went thru such trials in her life. She is truly an inspiration. the book was hard to put down; couldn't wait to see her next conquest! The book will give you a new outlook on life and you will realize that "the grass is not always greener on the other side". Kathryn Taylor's Two Minus One, A Memoir, is an unflinching, thoughtful and self-reflective account of Taylor's unexpected divorce from a second marriage. She reflects with honesty what it's like to experience the full commitment, comfort and security that comes only with a steady, solid marriage on one day, and the very next is confronted by sudden indifference, betrayal and abrupt defection. Confused, and heartbroken, she had to find her own way back to living life under her own terms. If I wer Kathryn Taylor's Two Minus One, A Memoir, is an unflinching, thoughtful and self-reflective account of Taylor's unexpected divorce from a second marriage. She reflects with honesty what it's like to experience the full commitment, comfort and security that comes only with a steady, solid marriage on one day, and the very next is confronted by sudden indifference, betrayal and abrupt defection. Confused, and heartbroken, she had to find her own way back to living life under her own terms. A true story about being blindsided by marriage and promises. Great memoir, will draw you in and wont let go. Very sad and uplifting at the same time. Thank you NetGalley for the free advance copy! When a woman is blindsided by the one person she admires, trusts and loves so deeply......you have, Two Minus One by Kathryn Taylor. A personal testament of Divorce, a journey of healing and growing. A story of self-confidence and most of all, self-importance. Kathryn has written a touching, emotional memoir of a time when her life came crashing down and her struggle to climb back to being whole, once again. Divorce is not an easy road and it's different for everyone, a very personal time in one's life, but Kathryn had managed too weave her experience and insight into something, I believe, all women can and will relate to. You will find hope and balance, support and appreciation in knowing that you are not alone by the words Kathryn has so lovingly shared with us all.....and, that there truly is such a thing as healing. Thank you Kathryn Taylor for personally gifting your memoir to me, in order that I may relate to, grow from, share and review for those in need of this story within "their" lives. I found this memoir about being blindsided in a marriage and then subsequent divorce informative. It was an intriguing and fascinating read. Thank you to NetGalley and the publisher for providing a digital ARC for me to read and review. Readers will benefit from traveling with the author on her unexpected journey. The raw emotion and authentic experiences reveal the author’s fortitude and survival instincts. Readers learn how to endure and recover. The hope and insights provided will be valuable to readers that are dealing with divorce or any other life altering situation. The writing style was a bit off for me. But the book might be helpful to those who find themselves in a similar situation. Kathryn Taylor, already divorced once at 40, "never saw it coming" when a married man named Jim befriended her and her two teenaged daughters, helping with typically manly tasks such as erecting a fence, building shelves in her new home, and even volunteering to read to the students in the public school where she taught. She didn't see that Jim was really planning all along to leave his wife and children, and marry Kathryn. His plan succeeds, and after Jim's divorce and a few years of increasingl Kathryn Taylor, already divorced once at 40, "never saw it coming" when a married man named Jim befriended her and her two teenaged daughters, helping with typically manly tasks such as erecting a fence, building shelves in her new home, and even volunteering to read to the students in the public school where she taught. She didn't see that Jim was really planning all along to leave his wife and children, and marry Kathryn. His plan succeeds, and after Jim's divorce and a few years of increasingly close friendship, he assures Kathryn that he's "in it for life" and they marry. Kathryn quits her job as a public school teacher to move to Charleston, North Carolina, for Jim's new job. They are happy—at least, Kathryn feels they are. They enjoy traveling, dining out, frequent daily phone calls, and evening cocktails and conversation. Jim is attentive and buys her thoughtful gifts. Kathryn frequently asks Jim, "Tell me the story of us," because she knows that "his love for me was do deep and selfless, and my need for confirmation and connection so strong. . . the happiness we had found together was the true story and real strength." And Jim tells the story again and again. So Kathryn is understandably shocked to her core when, five years into their marriage, Jim tells her with no prior warning that their marriage is over, that she is "mean and despicable." Two Minus One is Taylor's sparely written memoir about the crushing loss of her second marriage, and about her determined emotional recovery. From searching for a good therapist (one who would take her insurance) to leaning on the support of her loving daughters and closest friends, Taylor chronicles the hard road back to self-esteem and financial self-sufficiency. Having invested everything in her second marriage, including moving hundreds of miles away from home, and having left her job, Taylor knows the deck would be stacked against her attempt to reenter the teaching field at age 60, after five years of retirement. As a somewhat skeptical reader, I wondered why, when Taylor wrote more than once that Jim offered only a "rare smile," and that communication was not his specialty, that she saw no warning signs at all of his impending abandonment. Similarly, I wondered why she was so financially constrained before receiving her settlement, given that she had worked as a public school teacher for thirty years—surely she would have had some retirement funds and had written that before her second marriage she felt financially secure. Still, my heart went out to Taylor as she climbed out of her initial despondency to rebuild her life after divorce. She finds part-time work supervising student teachers at a local college, and through therapy and friendships, reclaims her sense of self and self-worth. She eventually understands that her husband's cruel words, while aimed at her, did not make them true. Taylor taps into her inner resiliency to find a new peace, to try new social situations, and to bask in the joy of her friendships and the love of her daughters. I wish Taylor had been more specific in the final chapter of the book, where she writes about challenging herself with new social experiences and enjoying music each day but isn't specific about what these experiences are. Additionally, the last chapter sounds a little like a speech, repeating things she had already written about finding resiliency and choosing optimism. Still, this is an absorbing read that any woman finding herself adrift and alone in late mid-life will find both inspiring and strengthening. Big thanks for BookSparks for my free review copy - part of the Magic of Memoir Blog Tour 2018! Kathryn remarried, retired from her 30 year profession, sold her home and relocated to accommodate her new husband's career. However, one day out of the blue her told her that he was done with their marriage. This was a story of loss, betrayal, rebuilding, and friendship. I wanted to give Kathryn a big hug while reading this, but I am so proud of the way she got through this hardship and how it shaped Big thanks for BookSparks for my free review copy - part of the Magic of Memoir Blog Tour 2018! First, let me say that I love this cover! Two Minus One is a petite memoir about Kathy's "grey divorce". Kathy had been a single Mom and met her new husband before he decided to divorce his first wife. Kathy's second husband asked for a divorce out of the blue and this memoir is about the difficulties of moving past this abrupt ending to their marriage. At first, I wasn't sure that I could relate to Kathy's divorce because the difference in her age and my age, but in the end I felt like anyone tha First, let me say that I love this cover! At first, I wasn't sure that I could relate to Kathy's divorce because the difference in her age and my age, but in the end I felt like anyone that have gone through a divorce that is not their own choice will be able to relate to Kathy. In my opinion Kathy was being "gaslit" at the end so that her husband could leave without a guilty conscience. Kathryn Taylor writes an articulate memoir of a painful divorce which was totally unexpected. She upturned her life after her future husband courted her ardently, in order to live the life he designed, and then he left suddenly. This well-written book could be a manual for how to get through this experience and find oneself again. Highly recommend for any woman going through a divorce, especially one she didn't want. In her memoir, Two Minus One, Taylor offers a poignant and well-crafted account of what it is like to be sixty years old, believing you are happily married one day, only to discover the next, having missed all of the clues, that you’ve been abandoned. This is certainly a story that demonstrates the powerful ways in which love is blind. This is a human story, one of vulnerability, insight and resilience. Highly recommended.